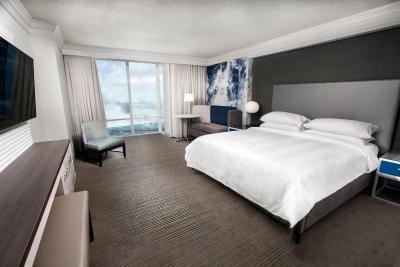 Lock in a great price for Niagara Falls Marriott on the Falls – rated 8.5 by recent guests! Room and views were absolutely perfect!! Clean, comfortable, modern!! Breakfast buffet had everything, amazing food with gorgeous views of the falls! Niagara Falls has so much to do, was so clean, and was amazing to experience!! Impeccable VIEWS! Glorious Interior Design - & overall amazzzing experience! Wonderful staff, restaurant, & buffet breakfast! Accurate information. Easy navigation. Great 👍🏽 saving. Only issues were with the hotel itsft. Beautiful view of the Falls and every member of the staff we interacted with, was kind and service-oriented. Great live music in the lounge, and room was beautiful. The staff were friendly and always helpful. Location was perfect. Hotel was very nice. Pool was always clean. Location was great! The breakfast buffet was way above par, as was our waitress. Parking location was a plus (next to the building). The view of the falls was amazing. Super clean room and bathroom. They made things up by changing rooms the very next day and offering free parking on the garage. 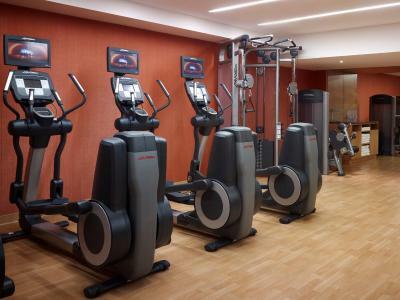 Niagara Falls Marriott on the Falls This rating is a reflection of how the property compares to the industry standard when it comes to price, facilities and services available. It's based on a self-evaluation by the property. Use this rating to help choose your stay! 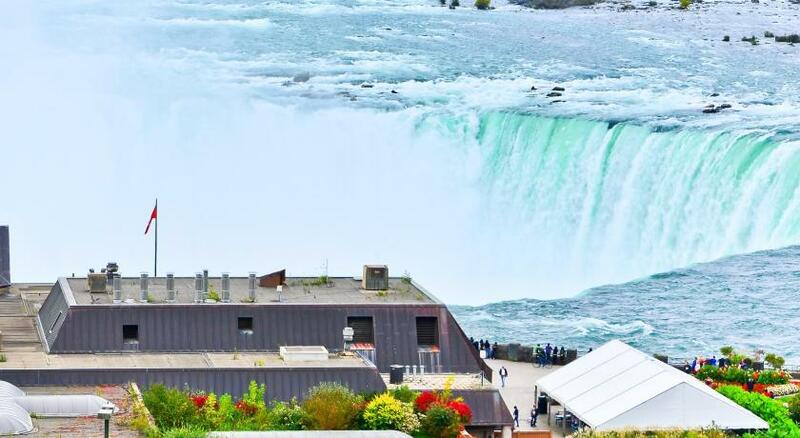 Featuring a terrace and observation deck overlooking the Falls, Niagara Falls Marriott on the Falls is only 1,650 feet from Fallsview Casino. A shuttle service to the casino and other area attractions is provided. Niagara Falls Marriott on the Falls has modern rooms with large windows overlooking the city or Falls. Each contains a 37” LCD TV, coffee maker, hairdryer and individual climate control. Select units also include a fireplace and hot tub. 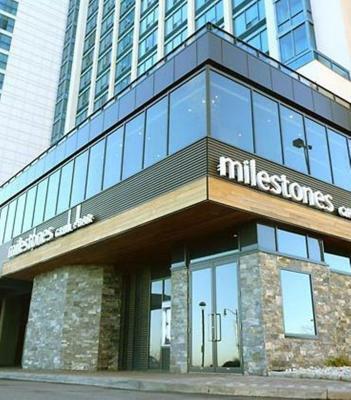 Guests looking for a memorable dining experience can enjoy the Milestones Fallsview Restaurant. 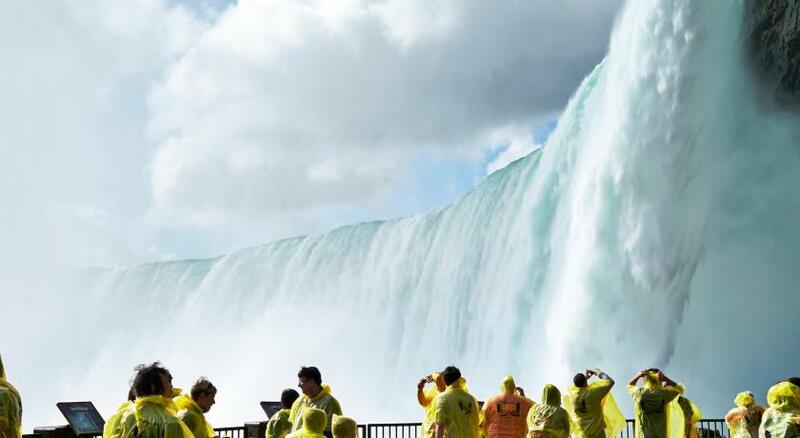 It is located on-site and offers stunning views of the Falls. There is a Starbucks located on the lobby level, and a breakfast buffet is available at the on-site café. 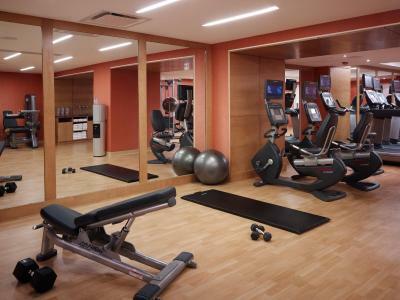 Niagara Falls Marriott on the Falls features an indoor pool, hot tub and fitness center. Free WiFi is accessible in the lobby. Other helpful services include currency exchange and a business center. Containing many brand name shops, Canada One Outlet Mall is 9 minutes’ drive from this hotel. The Journey Behind the Falls attraction can be found within 1.1 mi. 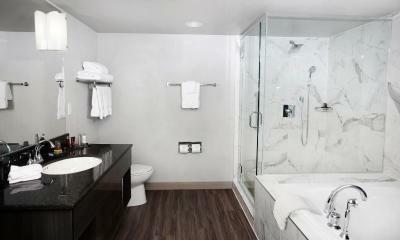 When would you like to stay at Niagara Falls Marriott on the Falls? Offering a city view, this room features a mini fridge, living/sitting area, as well as coffee and tea-making facilities. Wi-Fi is available upon request with surcharge. Please note: Any room/rate with "breakfast included", includes breakfast for 2 people only. Offering a falls view, this room features a mini fridge, living/sitting area, as well as coffee and tea-making facilities. Wi-Fi is available upon request with surcharge. 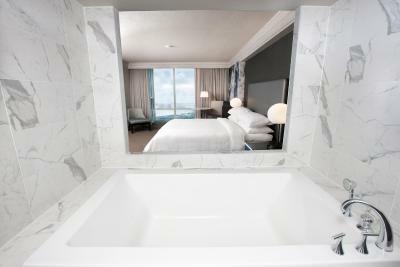 Showcasing views of Niagara Falls, this suite features a 2-person spa bath as well as a living/sitting area and dining area. WiFi is available upon request with surcharge. These suites are located on floors 3-10. Boasting a falls view, this suite features a fireplace and a kitchenette. A large walk-in shower, a spa bath and a separate living room are also included. WiFi is available upon request with surcharge. 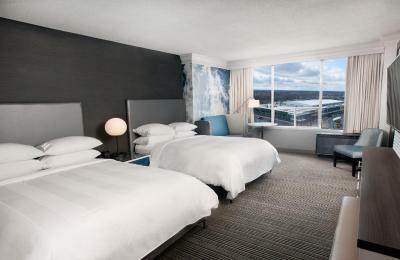 The Niagara Falls Marriott On The Falls Hotel is the ideal place to stay for your next leisure getaway. 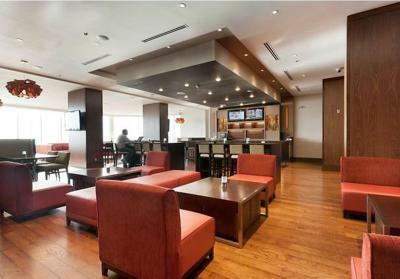 The hotel serves as a gateway to all of Niagara, and offers our Niagara Falls hotel guests a modern and trendy travel experience. For guests looking to experience the best that a Niagara Falls hotel has to offer, the Marriott On The Falls hotel is situated in the heart of the Fallsview Boulevard district, minutes away from area attractions, world-class wineries, golf and casinos. WiFi is available in public areas and costs CAD 9.95 per 24 hours. 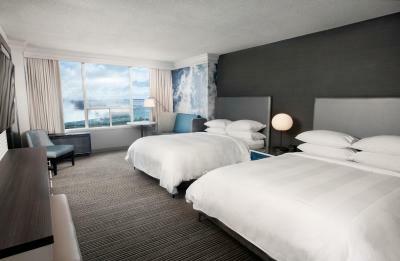 House Rules Niagara Falls Marriott on the Falls takes special requests – add in the next step! Up to two older children or adults are charged CAD 25 per person per night when using existing beds. Niagara Falls Marriott on the Falls accepts these cards and reserves the right to temporarily hold an amount prior to arrival. Please note: Any room/rate with "breakfast included", includes breakfast for 2 people only. 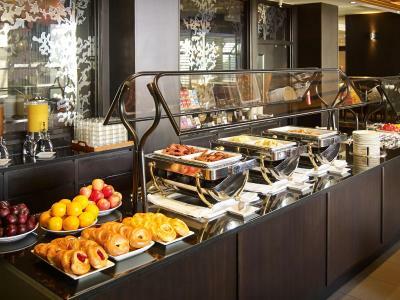 Additional guests can purchase breakfast directly from the hotel. Front desk didn’t pick up when I tried calling from the room. I liked the design of the room. The room we were given was not high enough for the view and that was not specified in our reservation when we asked to move we were told that it was extra! The water in the bathroom sink takes a long time to go down. I would say the drain is clogged. The clorine smell in the pool was so overwhelming i was afraid to go into the pool. I was really looking forward to enjoying the hotub and pool, this was really disappointing. Resort fees are unclear. They were added daily but the benefits were presented as complimentary. How can something that you pay for be free? -It would be perfect if Breakfast was include included the Deal..or maybe try to include it next time. 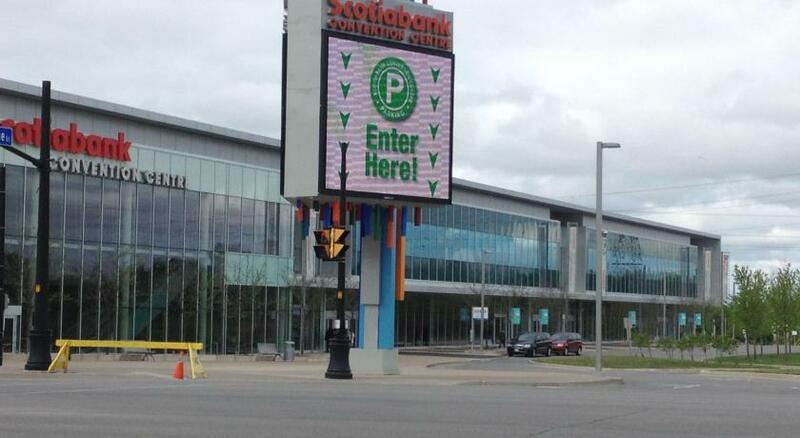 - Parking is not included. -Service.was Excellent. -Buffet Breakfast was awesome,although you have to pay for it...food selection was very good including an Omelette station. Ambience was the best as its overlooking the Falls. The room was too warm and had to turn the entire unit off because the thermostat didn't do the job. Location and the view are great.